Our product SA0850 is unique one-part, aqueous silver conductive adhesive which forms flexible bond after curing at 120°C. is stored at ambient temperature with shelf life 12 months. The glue is especially suited to conductive bonding of textiles, and for connecting rigid and flexible components to create hybrid electronics.The glue can survive at least 33% strain for more than 1,000 stretch cycles. 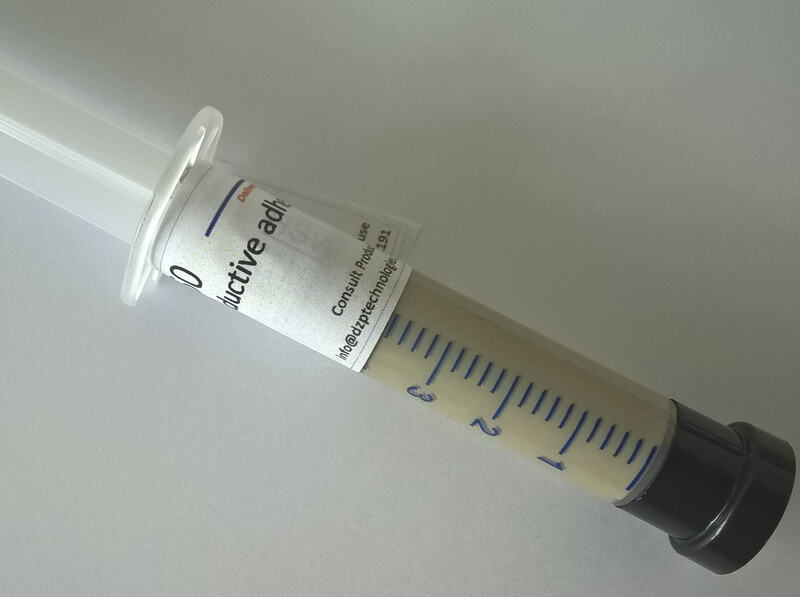 Our silver conductive glue can now be purchased from Strem Chemicals UK Ltd.